Interested in Selling your Condo in Ocean Palms? Located on three and a half acres of pristine beachfront just north of the new $800 million Westin-Diplomat Resort & Spa, Ocean Palms Condo is the first new ultra-luxurious condominium on Hollywood Beach in 25 years. If warm sands, hot sun and sparkling waters are your idea of paradise, then Ocean Palms condominium is your new home. The property boasts almost 250 feet of beachfront, which allows you to experience the real reason why South Florida is such a hot destination for travelers from around the world. Indulge your senses with Hollywood’s ocean breezes and spectacular views of the Atlantic and Intracoastal. Find a new experience in oceanfront living right in Hollywood Beach, known for its reputation of quality, refinement, and luxury. The lifestyle you've dreamed about is closer than you thought. Designed by world renowned architects Fullerton-Diaz, the Ocean Palms Condo tower features some of the most innovative design influences in use today. With waterfront condos and oceanfront homes, the ultra-modern Ocean Palms Condo residences reflect a resort-style lifestyle and community more than a ordinary residential tower in the heart of a city. Amid 38 floors and over 240 condominium residences, Ocean Palms condominiums feature some of the largest floor plan layouts in all of Miami. With configurations of one bedroom and two bedroom luxury condos as well as three bedroom suites, Ocean Palms condo residences are suitable for families and couples looking to live in a convenient and affordable private waterfront home. Ocean Palms floor plans range from 1,750 up to 3,000 square feet, and are available for sale or for rent. These waterfront condo residences are truly spacious and open, allowing you and your family to make your home your own. Step off the private elevator into your own secluded foyer, and enjoy complete respect for your privacy. Residences at Ocean Palms Condo feature gourmet Snaidero Italian kitchen cabinets with granite counters, Sub-Zero refrigerators/freezers, Miele dishwashers, top-of-the-line Thermador ovens with warming drawer, microwave and flat panel cook top. Laundry rooms feature full size Maytag washers and dryers. Elegantly appointed master baths include Snaidero cabinets and marble countertops, separate water closet with bidet, luxurious Jacuzzi whirlpool tubs, full-height marble showers with frameless glass shower enclosure and marble floors. Other features include expansive private terraces with tempered glass and decorative railings to maximize the impact of the spectacular bay and city views, solid core interior doors opening from individual private entryways, in-residence security systems, state-of-the-art communication wiring, energy saving solar tinted windows and sliding glass doors. Living at Ocean Palms Condo brings an array of opulent amenities found only at the most prestigious addresses and also offers the utmost in comfort. Ocean Palms overlooks beautiful Biscayne Bay as well as the Atlantic Ocean from a beachfront resort-style pool with cabanas. It has more than 250 feet of luxurious beach front with lush, tropical landscaping that compliments the beach and ocean. The glorious Florida weather can be enjoyed by the pool with the surrounding sun deck and outdoor whirlpool spa. No need to bring a towel with the convenient pool-side towel service. To release stress at the end of the busy day, there is a grand two-story fitness facility with modern fitness equipment, massage room and sauna. Tennis aces will also love taking advantage of the professional tennis courts. When it’s time for some entertainment indoors, there is a Billiards room and a Media room. For residents needing to take care of business matters, there is a Board room for private meetings and a business center with concierge services. Also, there’s twenty-four hour valet parking, air-conditioned and sprinkler protected residential storage, twenty-four hour security with closed circuit television system and proximity controlled access. The designers and architects of Ocean Palms condos in Miami are known for their craftsmanship, new and modern property ideas and great finishing which is apparent at first glance. Ocean Palms Condo is the crowning jewel of the renaissance of beautiful Hollywood Beach, and its quaint and charming cobblestone boardwalks, historical lighting, boutiques, shops and restaurants. Just minutes north of Miami Beach, and a breeze away from Fort Lauderdale, Ocean Palms is situated in the center of all the entertainment, dining, water sports and excitement South Florida has to offer. Located next to the legendary Diplomat Hotel, and its incredible golf, dining and live entertainment, Ocean Palms Condo is the newest star on the Hollywood scene. Enjoy easy access to exclusive Bal Harbor, Aventura Mall, and Hollywood-Ft. Lauderdale International Airport. With convenient access to world-class golf courses, full-service marinas, numerous schools, churches and synagogues, its renowned as one of South Florida’s most prestigious locations offering the best in elegance and convenience. Palatial, luxurious living like never before is yours for the taking at Ocean Palms. If you have been waiting for the next great luxury high-rise on the beach in South Florida, Ocean Palms Condo is it! 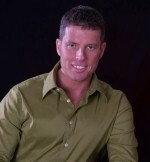 Steve Samuels is known as one of the premier Hollywood Beach Real Estate & Condo Brokers in the South Florida market. His negotiation skills, market knowledge and no-nonsense, results-driven approach has made him one of the most sought after luxury condominium, Oceanfront, Beachfront Condos, Oceanfront Villas, and single family waterfront realtors from Hollywood Beach, Sunny Isles Beach, Miami to Palm Beach County. View MLS Listings for Hollywood Beach, Downtown Miami, South Beach, Sunny Isles, Miami Beach Condos for Sale in South Florida and Miami Beach. CondosandCondos.com is one of the Leading Sunny Isles Beach Real Estate websites where you can find Waterfront, Bayfront, Beachfront Condo Sales, Oceanfront Condos Sales & Rent . Search for Oceanfront Condos Luxury Condos in Miami, Miami Beach, South Beach, Sunny Isles, Hallandale, Key Biscayne, Bal Harbour, Fisher Island, Coral Gables, Ocean Drive and all of South Florida.